Another week's almost gone and the weekend waits. This time, there's no tournament, but a mysterious visitor wanders through the frontiers of the Eternal Woods and the Cursed Valley. The second gift waits for you to find and claim it. Starting now, the following weeks will bring you supreme gifts. Can't wait any longer? You don't have to, join the Frostival! The first Deck of the Week, a format our community voted for, comes from Tengs. Some of you might already know him, some missed his excellent pronunciations (oh boy, we can't forget that Xiao Longs) in a video together with Edelweiss or live on Twitch during the King Puff Cup streams. Its a high skillcapped deck that is super effective against Videogamer. Got around 67% win rate in GM last season with this deck. But its damn hard to play. Simply the goal is to dominate the field with whelps. The enemy might have 1 or 2 anti air, but never more. So you will often find yourself taking bridges and getting lots of value from each and every whelp. Some support tools are added and you could argue to switch beam with black hole. But this is personal preference. This deck dominates after perk 2. But perk 1 is very strong with this drakes also, because you often already have 2-3 drakes on the field when he comes out. Whether this is meta-defining or not is up to you. But we know for sure that Tengs piloted this deck last season on Grandmaster with an impressive win rate, so maybe you want to give it a shot. On a sidenote: We will look into Videogamer's ineffectiveness against Dragon Whelps. What was going on this week? The week started with our Minion Master's Monday. We talked about the last King Puff Cup 13, a 2vs2 tournament won by Vango & Some Boxes. Congratulations to both of them and to RushSecond & Zgriptor, as well as Videogamer77 & PakoMANIAC for the 2nd and 3rd place. 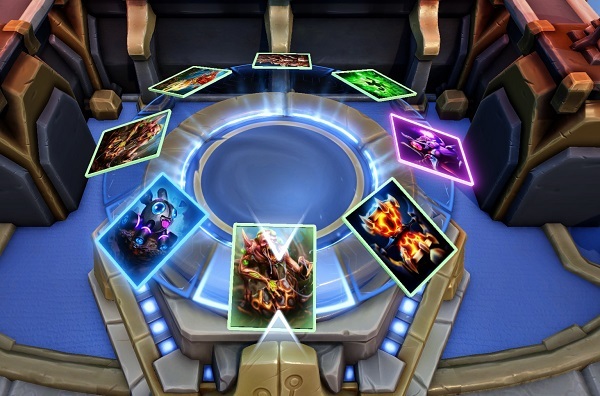 We also talked about our current tasks in terms of development and the Minion Masters Card Design Contest. This contest was the topic of the day last Wednesday. PedroEX won the final voting with the Incubus, a card idea with similar mechanics like the Succubus. Congratulations to PedroEX again! There was a lot more happening on Discord and Reddit, but it's impossible to cover it all. Therefore, we advice you to subscribe our official Subreddit and join our official Discord. 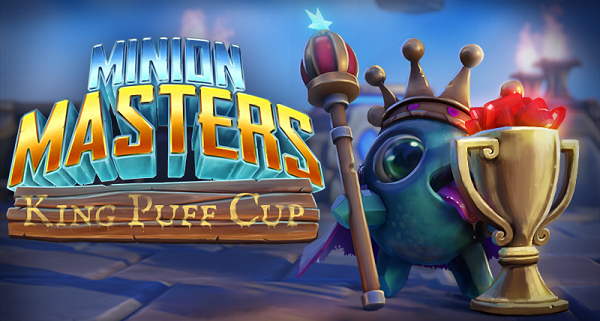 King Puff Cup already announced? Indeed. Thursday morning (CET), all of a sudden threads on the Steam forums and Reddit came up. FFA announced the next King Puff Cup on December 16th at 14:00 UTC! The prize pool is again $225, but the format changed. This time, the tournament will be played 1vs1 with the known Conquest Mode. So better prepare some decks this time, because the format forces you to use 4 different decks. Some of you may already know the format from Hearthstone, but in Minion Masters, the KPC staff decided to add a few more rules. So, please make sure to read the announcement and the rules carefully and feel free to ask questions, anytime. That's it for this Friday. We hope you enjoyed the week, this blog post and are ready to participate in the next King Puff Cup. Have a nice weekend everybody!